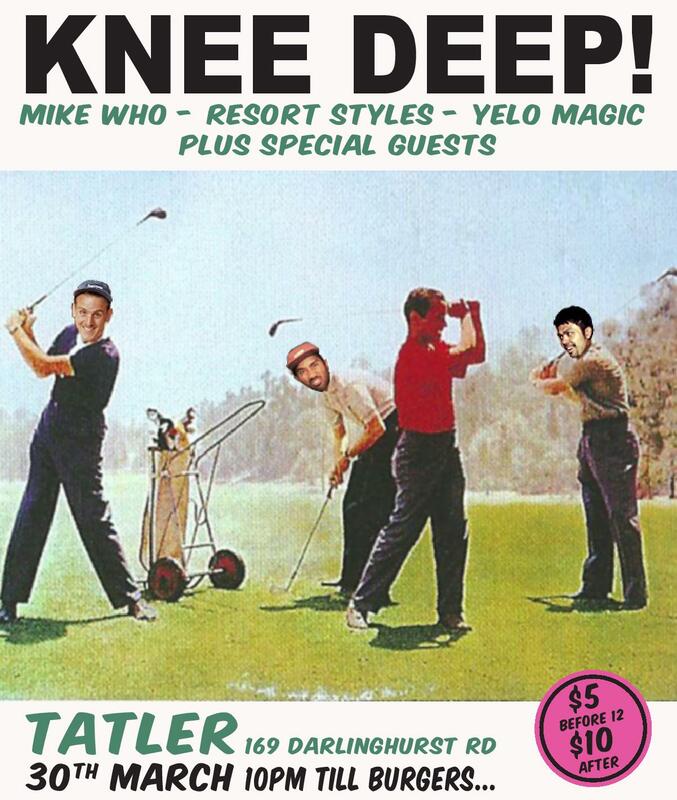 Tonight sees the launch of a new bi monthly party called “Knee Deep”, brought to you by 3 chums and a whole heap of special guests. Set in the Tatler bunker just on the outskirts of the cross, with a killer sound system and a dim lit dance floor. There will be vibes, dance, and drunkeness, as local homies Yelo Magic, Resort Styles and our very own Mike Who go deep on all matter of Boogie, Disco, Future Funk, throwback house and whatever other tangents they and you want, till your feet say yes but your mind says burgers. Happy peeps, cheap drinks, and rolling distance to Oporto. Only 5 bones before 12 and ten dollars after. Come Dance! Also here are so free tunes that you will probably here on the night. Freeeeee. See you in the bunker.